As I mentioned in my mini haul last week, I bought this book on eBay after seeing it for a ridiculously cheap price, sometimes it can be really hard to get imports over here, especially for Australia, so when I saw this for sale without the huge shipping rates attached, I had to get it. 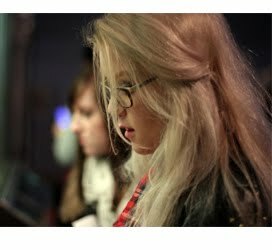 Candy, I thought for a long time, was just a movie; a little indie Heath Ledger flick about drugs and love, but when I first saw the book a few years back, I thought it might be something I'd really enjoy and I was right! Candy is a story of a love triangle between the unnamed male narrator, his wife Candy, and their mutual vice; Heroin. The story is part fiction part memoir, and recalls Davies own past and history with the drug and his then wife Megan Bannister, and reading the book you definitely realise there is truth to the authors words. Davies way of describing his all consuming, selfish, bright hot lust for the drug is so realistic that it can't be fiction, it's first hand experience with loosing everything and becoming only about the heroin, and that's what makes it such a great read because you're really experiencing something with the narrator as you read. 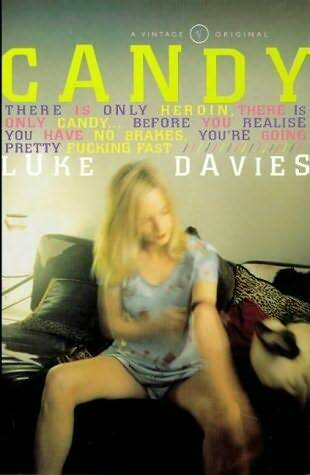 This isn't the first book I've read about this kind of addiction but I think it's definitely the most authentic and truthful, when I compare the novel to another well know piece of fiction about this addiction, Trainspotting, Candy just sits a rung above it, because of the narrators honesty. Though we as an audience are internally screaming at him every time he gives up the detox and injects the drug once more, this is what makes him and his experiences real, that this drug has such a hold on him that noting can make him stop, not even for a happy ending now when you look at Trainspotting, it seems Renton gets off a little easy, he fails detox once then suddenly he's free from the grasp of the drug in enough time for us to see him sort his life out. In Candy, life is much less hopeful. Candy is a really great book. It takes you through the dizzying heights and unexplainable blissful bouts of euphoria, and then hurtles you to the other side of the drug, the deep desperation of the human soul when it is grasped by a lover so cruel it will strip away everything but need. If you can get your hands on this I'd definitely recommend it. Brilliant review, just bought the book cant wait to read it. I already watched the movie it was brilliant!